Want to share your summer camps? Wouldn't it be fun for classmates to connect over the summer? Here's a spreadsheet where we can share summer camp schedules! At the bottom of the spreadsheet are tabs for each elementary grade--make sure you are on the correct grade! Scroll to the right to see week by week. 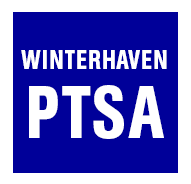 NOTE: You need to be logged in to see the spreadsheet using your Winterhavenschool.org name and password. TIP: click Sign In at the bottom of this page.